As you’ve worked your way through the PACE method, it’s time for the crucial pillar; cultivation. This is the step where you begin to build and establish a connection with your target audience. On this episode of The Amazing Seller, Scott and Chris walk through all the facets of the cultivation pillar. In their conversation, the guys explain how to introduce people to your brand, what it takes to craft a compelling email for your audience, how to build a robust and valuable community, and much more! Don’t miss a minute of this helpful episode! Introducing people to your brand. Sometimes the best approach is the most obvious one! Seriously! Too often people can overcomplicate easy steps like introducing your audience to your brand. If they’ve connected with you through a lead magnet method, take the next step and reach out to them and tell them about your brand, it’s that easy. Don’t stress out about getting the wording just right, approach them like you’d like to be approached about subject matter that you are passionate about! 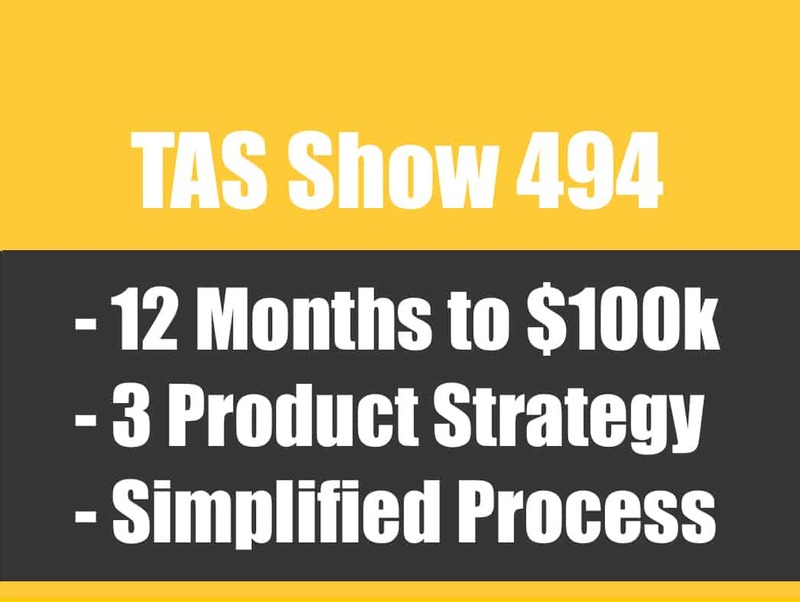 To hear more about how to make this initial step of introduction, make sure to listen to this episode of The Amazing Seller! Trust is your currency, use it well! As you build your brand and connect with your audience, what is your number one asset? Trust! How do you build it? How do you make sure you don’t violate it? On this episode of The Amazing Seller, Scott and Chris go through their strategy of building trust with your target audience. While it may be tempting to cash in on your newly created email list, the guys caution moving too fast too early. Remember, as you build your brand you are creating goodwill, value, and ultimately trust with your audience. Learn more about walking the fine line of building trust and then using your connection to further your brand by listening to this informative episode! Why a strong community that supports your brand is important. How will people connect with your brand and see the long-lasting value of staying connected to it? Why should someone keep coming back and become further invested in what you’ve built? According to Scott and Chris, it all comes down to the community you are able to create with your brand. If you take the time to invest in and foster a thriving community alongside your brand it will increase your chances of success. To find out what it takes to start building this enticing and valuable community, make sure to listen to this episode of The Amazing Seller! How do you start creating content that will draw your audience in? What role will you take on as you connect with your audience and invite them into your brand? On this episode of The Amazing Seller, you’ll hear from Scott and Chris as they reveal their approach to content creation. At the end of the day, you don’t have to be an expert to educate and inform others of what you’ve learned! Think of it this way, if found a great tool or tip that your friends could use to make their hobby more enjoyable, how would you share it? Try using that same approach to connecting your audience to your brand! Learn more from Scott and Chris’ seasoned perspective by listening to this episode, you don’t’ want to miss it! [2:00] The 3rd pillar of PACE, Cultivation. [6:30] How do you connect and introduce people to you and your brand? [15:15] Tips for creating a compelling email to your ideal customer. [20:30] How do you teach people if you aren’t an expert? 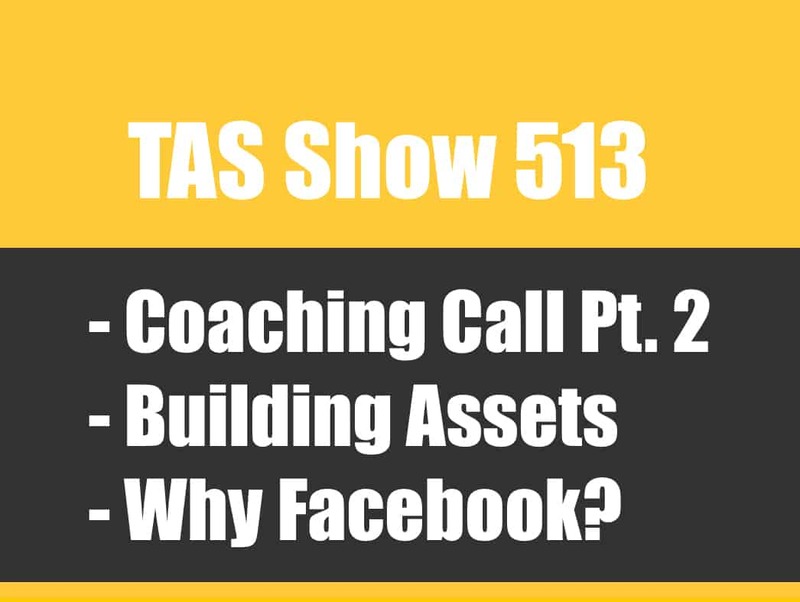 [28:15] Build a strong community that supports your brand! [34:00] How you can leverage your email list to build your community. [39:30] Why it’s important to establish trust before you push offers to your community. 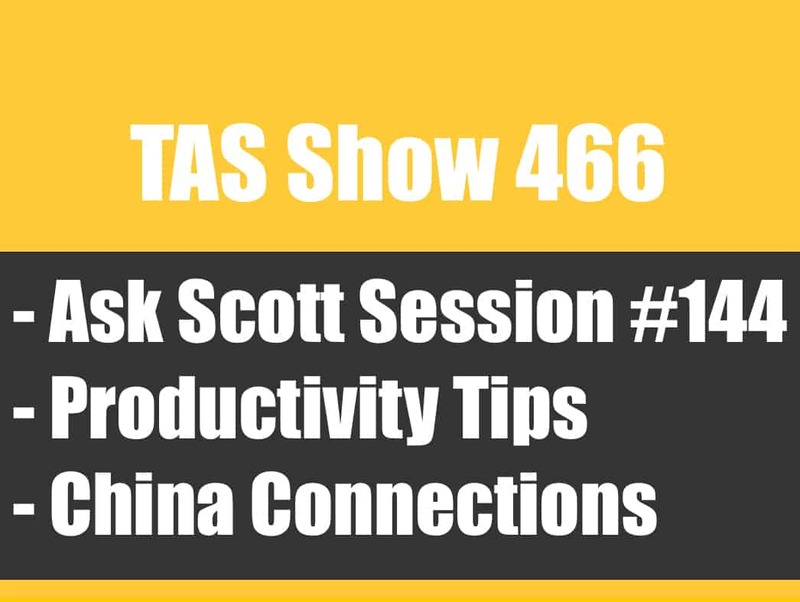 [44:00] Cultivation is all about nurturing your relationship with your target audience. [46:30] Chris recaps all the aspects of the cultivation pilar. [49:00] Make sure to utilize the whole PACE method, it’s worth it! …be Part 3 of our little miniseries here where we’re talking about using PACE, something that myself and my team has come up with to help you understand the four main pillars to building a brand that lasts. And once again, I got my good friend back on with me to go through this, Mr. Chris Schaffer. How’s it going, my friend? [00:00:33] Chris: Great, brother. How are you doing? [00:00:35] Scott: I am doing fantastic and I’m getting excited, even more excited about diving into the C of PACE because it’s really a pretty awesome pillar because this is where we get to actually communicate and start talking and sharing with our audience or with our potential customers and we get to start using what we were really working on in the P and the A which P is for preparation and foundation is really like getting everything set and ready to go and we also talk about things that we need to do there in order to do the cultivation but then A for the attention which we just covered in Episode 546. That was Part 2. So, I’m excited because this part is exciting because you get to go through and actually start communicating and start really figuring out what your audience wants, what they are interested in but then also how you can develop a little bit of a deeper relationship, so they get to know, like, and trust you. I think this is critical in building a business especially a business that is going to be out there to compete with other businesses but where you’re going to have a little bit of an advantage over everyone, not even a little bit. A lot of an advantage. So, let’s be honest here like there’s a lot of different things that you can do in this pillar. Where you want to start, Chris? [00:01:50] Chris: Well, I want to start at the beginning, Scott, but I don’t know where the beginning is. And we call this cultivation because you hear the joke in the marketing world that when we’re creating a brand we’re creating a cult-ure. Like, we’re trying to get people to understand and think and interact with us in the same way so we can create a community. That’s really what this is all about and I think, Scott, so far from the conversations that we’ve had with business owners, people get the preparation, the foundation for the most part at this point. They understand 10 x 10 x 1 and finding a market and some of those kinds of things, and they even kind of understand what we’ve done in building our list and we’ve had a lot of people come up to us and say, “Okay. Well, I have all these emails. Now, what do I do with them?” And this C, this cultivation, this creating connection with your community, this is where that comes in. You can have all the lists in the world but if you’re not doing this portion of it, they’re essentially worthless. And you’ve heard me tell me the story time and time again that I’ve walked in some businesses and it happened and there’s actually a listener of the show and a friend in the marketing community that we were having coffee locally and she said, “Oh, I have a list of a couple of hundred thousand people and I’m not emailing.” And I‘ve had that same exact conversation in large businesses, small businesses, medium-sized businesses. So, a lot of people are getting to the stage and then they just don’t know what to do. And so, the thing that I want people to understand is how important this is before we can move forward in any way. [00:03:20] Scott: Yeah. Again, kind of like describing this process through PACE, it’s really like we’re doing this is to build – it’s building blocks to me. It’s like we can get the attention but if we have the attention and we built a list, that’s great but what do we do with it, right? So, these are all building blocks and a lot of businesses might have the first two really well but then they don’t do anything with them. Like you said, like what is a list of 200,000 worth if you’re not emailing them? [00:03:51] Scott: What good is it? The problem is, well, a couple of different problems that I hear and see a lot is, well, I don’t want to bug them. I don’t want to over-email them. [00:04:00] Chris: I don’t want them to unsubscribe. [00:04:01] Scott: Yeah. I don’t want them to unsubscribe and I want to talk about that a little bit as we move forward here because it’s actually a good thing if they do unsubscribe because those aren’t your ideal customers or the people that you want to be communicating with but really to kind of break this down, we’re going to be talking about how to write and connect in your market. That’s really what we’re doing here in the cultivation. Yes, we want to be able to communicate with them in a way that they are going to be getting value, that they are going to be paying attention but also where they’re eventually going to buy. I mean ultimately, yes, we need to fuel our business with money. That’s what’s going to allow us to continue to grow our business. In the same breath, we can also build a relationship with them and then also help people in the process which I think a lot of people miss. Like if your brand can legitimately help people, that’s a good thing. I mean it feels good but also, it’s easier to sell. You don’t really have to sell that hard. So, to me, this is all about how to really write and connect in your market. And I say write because a lot of times we are emailing people or we are messaging them through Messenger or we’re just communicating through our Facebook page, whatever. It’s how to write and connect and that’s why I think it’s important that you understand this and we’re going to go through four things, four different components inside of the C in PACE, that’s cultivation. And if you guys missed, let me kind of go back a little bit, Chris. If you guys missed Episode 1 and 2 or even the overview episode, I’m going to link everything up in this episode’s show notes so that will be Episode 548 so TheAmazingSeller.com/548 and you’re going to want to go back and listen to those, probably go back and make sure that you get all of the transcripts, the downloads, whatever we include there because this is a mini course in a sense. We are actually taking you through the entire process. We start off by teaching you PACE like what is it, what does it mean, how is it applied, what are those four pillars and then now what we’re doing is we’re breaking each one down. [00:06:03] Scott: So, Part 1 was preparing the foundation, 2 was getting attention in your market, and 3 now is cultivation and communicating and connecting with your market. So, with that all being said, Chris, there are four things we want to talk about. Where do you want to start? [00:06:19] Chris: Well, let’s start with the connection and story, Scott. [00:06:22] Scott: Okay. Yeah. And I think there let’s take people back in the P, the preparation and the foundation we talk about discovering your story and your why and a couple of different whys, why you’re building the business, but in this case, what is your story or what is your mission, whatever it is, what is it that you’re going to be connecting with people on? So, just an example, if someone signs up for a contest, a giveaway like we talked about that’s one great lead magnet that you can use to basically start to build your audience and your list and a way for you to be able to connect with those people. Well, immediately you should probably introduce yourself, right, Chris? [00:07:04] Chris: Or maybe say hi. [00:07:06] Scott: How would that look? Maybe you can give people an example. How would that look? Let’s say that we’re going into the bass fishing market. We just gave away a bundle. They signed up for the contest. We do the normal stuff. “Hey, thanks so much for signing up to the contest. You can still get more entries by sharing,” all of that stuff. That’s pretty much routine. What else do we want to do there? So, this way here we’re not just a person that is emailing but you don’t know who I am. What would be something that we could do? [00:07:35] Chris: So, what we tend to do is two things. One, the very next thing that we’re going to do is send what we call a welcome to the family email which is a true introduction and you and I have done this a couple of different ways. The last time we did it actually like as a hybrid inside of that “thanks for entering” email but you can also send it as a separate email. Really what that email would look like or sound like it’s just, “Hey, this is Chris. I want to take a second and welcome you to the bass fishing.” We need like a brand name or something. “The Awesome Bass Fishing Community.” And then if you have a nickname for what you call it, you can include that. And then you have to kind of set the stage and we talked about this, Scott, back in the preparation foundation episode of what your approach is going to be. Are you going to be that like fumbling novice or you’re going to be the reporter or you’re going to be the expert or you’re going to be some sort of a hybrid? And if you can tell your story in a sentence or two, that’s all it has to be of why you’re interested in the market and why they should listen to you, that would be kind of the sign off in that email. [00:09:15] Scott: Yeah. Perfect. You did that really well on the fly, by the way. That was on the fly. So, fly fishing, fly? Get it? So, yeah, I mean that’s all you got to do like it doesn’t have to be this major like you have to spend two days writing a novel. [00:09:32] Chris: That was what? Four sentences, Scott? [00:09:34] Scott: Maybe. Like, I mean, you could go a little deeper if you want to but that’s it. You can even maybe say, “Hey, I recorded a video too to welcome you or I shot a video and I wanted to say hi,” like you could do that if you wanted to as well and then link people over to a video but even if you didn’t want to do that, just say who you are, why you’re interested in this market, and why people should be ready to open up an email when you send one like that’s all you’re doing. You’re setting the stage and you’re also giving people some context to really your story and who you are and then they’re not going to be like, “Oh, who’s this email from?” Like, it’s going to be Chris again. And you’re kind of training them for what’s to come. And a reason for you emailing them, in the beginning, is to say, “Hey, thanks so much for entering the contest but then, hey, while I got you I’d like to introduce myself.” You can do it right there or you could do it in a separate email. It doesn’t matter but you should do it and that story doesn’t have to be this major like breaking news type story. It just needs to be who you are and why you’re doing it. [00:10:37] Chris: Right. Why are going to send them stuff in the future? And I just jumped into ConvertKit which is what we used to send these emails in a new brand, Scott. ConvertKit, Seva, I don’t know when they’re changing their name. It’s going to happen at some point. [00:10:49] Scott: I know. Either one. [00:10:51] Chris: If you searched for either of those, you guys will be able to find it. And we have a 68% open rate on that email. [00:10:58] Scott: Which is insane. [00:11:00] Chris: Six unsubscribes out of tens of thousands who send that email. [00:11:04] Chris: So, yeah, some people are going to unsubscribe from anything that you send but 61% of people are opening and in theory reading that email and that then sets the stage for anything else that we do because we’re telling them who we are and what we are going to send them in the future. And if they don’t connect with that then they’re going to unsubscribe and that’s okay because we want them to be on the same page as us. We also get a ton of replies to that email by the way. [00:11:31] Scott: Well, okay, let’s talk about that really quickly because I think it’s important to note that the way that I – there’s a couple of different things it does here. Number one, when we send that email and we’re not going to get into like in this right here it’s like tech side of things. Like, what we’re talking about is really building some type of automation where we can actually send out emails eventually but I’m not going to get too deep into that. We talked about that in the list building and stuff like that, TheAmazingSeller.com/Buildlist. That is the link. Yeah. That’s the link. So, that’s the one. We’ll link that up in the show notes as well. But what we’re talking about here is what is the first part of that conversation? That’s what that would be. But then what we can do is we can then add another piece of the story in another email so we can kind of pre-do this stuff as we’re leading people through the story but like you said, we are getting people used to hearing from us but by us also sending them stuff and asking them to reply, it does two things. Number one, it gets people to reply which is cool and then we get to actually reply back as a human would. So, we’re actually wanting that so this way here we can start a dialogue and we can start to really connect with them. We also learn more about our market now so now we get to go back into the attention pillar and say, “How can I take what I learned in the cultivation and then apply it to my attention in that pillar?” because now I know a little bit more about the market because now I’m having a real conversation with this person. The other thing it does is when we get into a little bit more of the tech stuff is it also helps our deliverability because people are actually opening and then they’re sending an email back and then we are actually conversing. So, now when I send an email in the future, there’s a better chance of that being delivered to their inbox and not their promotions tab or their spam or their bulk folder or any of that. It’s going to be better for them or easier for them to get it because they’re going to see it in their inbox versus it being sent somewhere else because they’ve actually touched an email and we’ve actually had a conversation back and forth. So, there’s a lot of stuff going on. [00:13:35] Chris: And that’s something I wanted to cover, Scott, and it’s something that we cover in the workshop over at TheAmazingSeller.com/Buildlist and it’s something that I hammer on in that but really the thing that trips people up here I think is that they think they have to be like a Best Buy or an Apple or like one of these big multinational conglomerate type brands to do this thing and that’s actually the wrong approach. [00:14:01] Chris: What we found and what I’ve seen time and time again in any study on email or brand building is that the more one-on-one these feel, the better connection you create. So, we don’t have to like go to all these crazy efforts to create super fancy emails and insane Facebook messages and all these things like it doesn’t have to be pretty. We generally just use text and it’s like four or five sentences. It’s not that difficult. Maybe we’ll throw in a picture of the bass that we caught this week. But other than that, it’s just text and links and when you do that even though you’re sending this email to 28,000 people, it’s personal to each and every one of them and it feels that way. It doesn’t feel markety and we’re not doing that to be slimy. We’re doing that quite honestly because we’re lazy and because it works better. Like, I could sit down and design all these super fancy emails or I could write a couple of sentences and send them and it works better for me, it works better for you, and it works better for the customer or the potential customer. [00:15:07] Scott: Yeah. Here’s one little tip for people too. Sometimes when you’re adding, we’re going to get into a little bit more techie stuff but like if you get into like HTML emails versus text emails and a lot of the autoresponders now they’ll convert it to both and then it will send it in the best format that will be delivered the best but also if you have images in there, that could also hurt your opens because you’re not going to be getting it delivered as much. Now some providers are better than others. One little thing that I did, I actually did this just the other day, Chris, and I did it in another little test market that we are playing around in right now and I literally sent an email yesterday. I think it was yesterday or the day before. Whatever it was. And it was to 2,676 people and out of that email, I received a 32.5% open rate. Actually, that’s across the board. It was 31%. [00:17:07] Scott: So, basically, I just linked them over there and then they are able to now see it without me putting that in there. I know this is a little off topic, but I want people to understand that there are different ways that we can communicate with them without having to just load up the email with all of the stuff and also, it’s going to help with your click through rate because now we’re getting them interested. Like, if you ever put in something about a picture or a pic, most of the time people are just curious and they want to see what the pic us. So, just put in there, “Check out this awesome pic or this cute pic or this amazing pic,” and then they’re going to want to probably click on it and that will help increase this. So, Chris, just a little side note and something that I just did I wanted to share. [00:17:48] Chris: It’s awesome. I actually didn’t know you did that. [00:17:50] Scott: Yeah. I just did it. Actually, I just sent the unopens like before we got on here to do this and it’s already increased our opens by almost 2% so that’s pretty cool but again when you do that stuff like again, we’re getting a little techie, you don’t have to know all that right now. There are tools out there. We use ConvertKit or Seva depending on when you listen to this. Seva is S-E-V-A which is also known as in the past is ConvertKit but it’s basically an autoresponder. AWeber does the same thing, Mailchimp, all of those. [00:18:23] Chris: There’s a bunch of them. [00:18:24] Scott: There’s a ton. [00:18:24] Chris: And we’ve used most of them and we just like ConvertKit because it’s super simple to use. They do things in a way that makes sense and it’s been fantastic for us. They’ll do all of the advanced nerdy stuff that we want to do, Scott, and also, they make it easy enough that anybody can figure it out from the beginning which is kind of cool. [00:18:42] Scott: Yeah. So, and the other cool thing is too, a little side note here, Chris, is when I did send that email yesterday it actually added about 150 new followers to our Instagram page. [00:18:53] Chris: It’s pretty sweet. [00:18:55] Scott: Which is pretty cool. So, anyway just a little side note there but that’s the power of email but now what I’m doing though is I’m getting people interested in more things that I am providing like so now they’re like, “Oh cool, I’m going to open an email from that person because the last time I did they gave me a tip or they shared a picture or whatever,” so it’s a way for me to communicate with them and then they also get to know me a little deeper because they’re seeing what I’m posting and they might even see pictures of me. They might even see pictures of the fish that I caught or the new gear that I have. So, they’re starting to understand who I am and then from there, they get to choose if they want to keep following and hopefully either your personality or your content or whatever, it will win them over and then you’ll be able to have that relationship. It’s just like when you meet someone for the first time. You know if you’re going to kind of hit it off or not. And if you’re not, that’s cool. That’s fine. You know what, we won’t go to dinner again or we won’t go play golf again or whatever. It’s like we did it, we met each other, we played. Have a good life or whatever. But you might have some people you’re like, “Wow. We really hit it off. We got a lot in common. Let’s hang out again.” It’s the same idea. So, that’s really your connection and your story in that first part. So, in the second part, Chris, and this kind of goes well with what we just talked about, a way that you can communicate with people and deliver value is by teaching and sharing. Now I just talked about sharing some just pictures. They could’ve been like amazing pictures or cute pictures or whatever like I can share that stuff. That’s one way, easy way or other people stuff that I find. Now, the teaching side of things, what would teaching look like, Chris? Like, what if I’m not an expert? How would I teach if I am not an expert and I’m a bass fisherman? [00:20:36] Chris: Well, that’s why in that P section, that preparation foundation section we talked about like figuring out what your style is going to be because to teach something, you don’t necessarily have to be an expert. You just have to be more knowledgeable than the people you’re trying to teach like if you think about a math teacher. A math teacher is not necessarily a math expert. They might not be able to do a theoretical physics math and the theoretical physicists might not be a good math teacher but a math teacher at the high school knows more about geometry than the students still and so they’re able to teach it and demonstrate it. So, even if we’re not an expert even if we’re that fumbling novice, if we’re that very most basic level, we can still teach the things that we’ve learned already. So, I can teach how to keep my lure out of the bushes, don’t fish in your bushes, that’s the first one or use my special lure. Or we can be the reporter and say, “Hey, I learned this really cool trick. Here it is.” That’s still teaching and providing value in the same exact way that you could if you were an expert and that’s why you have, Scott, teaching/sharing here because really what we’re doing, in either case, is we’re becoming the go-to resource for the information about the market. Does that make sense? [00:21:54] Scott: Yeah. It does. It’s a process is the way I look at it and that’s why we’re going through all of these different pillars. There are four different pillars. There’s P which is preparation foundation. There’s A attention. There’s C cultivation and then E is for expansion. Each one of these we can go back and take what we learned or what we’ve done and then we can go back and refine it or make it better or shape it differently. But what you’re saying is as far as like teaching like just kind of share in a way that is teaching. So, by you saying, “I just learned this new thing, it’s really working for me. You might want to try it.” That’s teaching. It doesn’t mean you have to be a teacher, like it doesn’t mean that you have to be like an expert. It just means that I just did this one thing. I did a little bit of research. I found out how to fix it. Here’s how you do it. Boom, you just taught something. That’s it. So, think about that for yourself. Again, I’m going to give you guys some homework. I want you guys to get a pad of paper, get some ink, get a pen and put it to paper. I want you to start writing like about these different areas like how does this stuff relate to your brand or your business? How can you take part of your story and start telling people about it? How can you teach something in your market that is you figuring out something that they might have to figure out or they had to spend an hour to two to find it, but you just save them 55 minutes because it only took them five minutes to read it? So, what are some things that you can do? Start making a list of what, like right off top of your head you might be all like, “Oh, there’s like 10 things I know that I could share that I learned that people would probably find useful.” The other thing is I think people get hung up on they think that, well, that person probably already knows it. So, why would I share it? Why would I share that thing? That seems like so obvious and the truth is sometimes it’s not. Most of the time it’s not. Go ahead. [00:23:56] Chris: I’ll give an example of that, Scott. So, first, one of the things that we do here to just kind of figure out what kind of content that we want to send or that we should be sending is we do send what we’ve always called like a survey email so do you have this or this? And it just gives us an idea of where people kind of are in their knowledge in the market. But the example that I would use here, Scott, is something that’s like, “Well, it’s too stupid to send.” It’s like definitions of stuff in the market because every market has lingo and one of our top performing emails in all of our campaigns in terms of click through rate is one where we simply send a PDF of all of the definitions of the lingo that’s used in the market. So, what is a fly? What is a lure? What are all these things? And then all of the like random things and trying to think of fishing lingo that might be weird. That fuzzy bob or something like just weird, weird terms that are in the market. You’ll be surprised at how many people will open and engage with that content and we’re teaching them something by providing them with that resource. [00:25:01] Scott: Yeah. Exactly. And it’s like, again, I think people get hung up because they think being an expert or teaching something that it has to be this thing that’s like newsworthy or it’s breaking news. It doesn’t have to be. Just you got to remember one thing that you learned will probably help, I mean, if you were with your buddy and you’re like, “Hey, have you ever tried this new lure spinner? Or did you try this new this device that goes on your lure so that way there it doesn’t get hung up in the weeds?” Have you tried one of them? And you’re like, “No, actually I haven’t,” and if you did, you go, “Yeah. I have tried it and it worked pretty good.” They’re like, “Oh, cool. It’s pretty cool, isn’t it?” And you’re like, “Yeah,” like that’s it. But a lot of times it’s like, “No, I haven’t tried that. I’ve seen them, but they haven’t tried them.” Well, now I can tell you how it worked because I did use it. So, just think about your market, think about what you could teach or what you could share, and sharing could be like I said, cool pictures or the bass that you and your son or your daughter caught over the weekend or whatever it is. There’s always things that you can document that you can share and those are the things that you’re going to want to write and connect with your market with. Like that is your, to me, that is your asset that you can use in your marketing because really what you’re doing here is you are marketing in a sense. You’re marketing in a way is you are letting people know who you are but also to get to know, like, and trust you so that’s part of your marketing. Marketing isn’t just selling. And I think a lot of people think marketing is just selling. It’s not. Marketing is really about going out there and building relationships so that way people trust your brand and that way there they buy from you in the future or you are the go-to person. [00:26:43] Chris: That’s something, Scott, that a lot of people miss because people do conflate. They confuse marketing and sales and there’s the reason that in most businesses that there’s a marketing department and a sales department. The job of the marketing department is to make the sales department’s job easier. It’s everything up to the sale itself. Sales is the sale itself. So, how do we set the stage for that 97% of people who aren’t ready to buy something right now? How do we set the stage so that when they need to buy something or they’re at that point that we can be the person that they buy from? How do we become that resource for when they need us? And that’s what the marketing, that’s everything that we’re doing here to create and cultivate this community. That’s why we’re doing it. We’re doing it so that we’re here when they need us. [00:27:29] Scott: Right. You’re the go-to. It’s like you’re the go-to and the go-to person or even community will that’ll get spread like people will tell people about it just like they would if you’re local. Like I know us we weren’t a small little community here and there’s a little forum for just this – it’s not even a – well there is a Facebook group but there’s also a forum. It’s kind of crazy. There’s actually two places but basically, if anything happens or if you have anything that you want to share as for as a contract or dog sitters or whatever, that’s done inside of there and there’s a trust level inside of there because you’re there with people that are in your community. So, that actually moves us well into number three which is community. Like, how do you build a strong community? And that community doesn’t have to be 5,000 people. It could be 100 people. There’s power in just having 100 people in a community because you’re still having people that can reach out to hundreds if not thousands of other people especially with the social media now. [00:29:22] Chris: What’s a fish? [00:29:23] Scott: Yeah. What is a fish again? So, I mean, so that’s what we’re talking about. So, the cool thing about that community though is we can really nurture that but we can also make it so people feel as though they can go there whenever they want. They can add value. They can take value and they can feel trusted in the products that they are going to buy or that are recommended. And you can start to develop language inside of there and what we mean by that is like every market usually has their own lingo in a sense. So, you might develop that lingo by listening to your email list connecting with you or replying to emails and you may start to pick up on their language or you may be paying attention to another community because you’re over there seeing what people are interested in or who the market is because you’re in the P or the A or you’re going through these different pillars to understand who your market is and where they’re hanging out. [00:30:44] Scott: I know. Well, my wife actually bought some the other day. There was this little device and funnel cake thing. She’s like, “Oh, I’ve always wanted to get one of them,” so I kind of thought about the funnel cake thing. But, yes, they’re good, but yeah, a lot of people, “Landing page, squeeze page, like opt-in like what are you talking about?” But if we’re talking about that and it’s part of our language, we’re just talking. There’s no – you don’t have to be like, “Stop for a minute. What are you talking about? What does that mean?” It’s the same idea in your market. I’m sure there are different things you talk about that only you guys will kind of understand unless you have been involved in that market inside that community. What else you want to add to community, Chris? [00:31:25] Chris: I think the thing that’s interesting about the community is it kind of builds on that one-on-one relationship that they have with the brand itself because it’s a place where the brand is providing them with the ability to talk about with other people whereas like the email or the messengers stuff is really personal. This is a place for them to associate in groups with you and by in groups I literally mean like multiple people at once. It takes you out of that one-on-one environment, but it does also still contribute to the overall connection inside of that brand. The other thing that having the community side of this really does is it creates discussion. It creates conflict which can be very good.” Hey, why did you do that this way? Why did you do that this way?” And then you as the person who is the face of the brand, the expert, the fumbling novice, whatever can report that discussion back to the rest of the community that might not have seen it in your next email or your next Facebook message. “Hey, we had a really interesting conversation and the consensus inside the community is XYZ, that fishing for bass at night is actually the best way to do it. Make sure you go try that the next time.” I’ve never done it before but 200 people in our Facebook group this week said that that’s how they do it. The other side of community is it makes it a lot easier to launch products because I don’t have to rely on somebody hitting reply on an email or writing us back on a Facebook message. We can say, “Hey, do you guys like black or red better for this lure?” And you will not only get 100 people that say black or red, but you also get some people, “Ooh, did you know that bass can actually see color? And that red is a signal of danger for them so maybe don’t make them red.” Not something I might not – I don’t know if that’ true or not. I highly doubt it. But it’s just one of those things where you might not have thought of something and your community is able to do that. You’re not necessarily going to get that same type of interaction through email or Facebook Messenger or the one-on-one methods of communication. So, I wanted to throw that out there as well. So, that’s a way to get them over there and they can start having conversations every day over there and then you can link people back over there once a week and say, “Hey, this past week we had like five people share these amazing tips. One was this, two is this, three was this, four was this, or five is this. Go check them out. And then let us know what yours is.” And then again, that’s a way for you to use the email list to get people to go over there and start connecting with it and I’m not selling anything at that point. All I’m selling as you to go over there and click on a link or click on a link to go over there to start adding to the community or start watching or sharing or chiming in is really what we’re doing there. We’re not selling anything. So, a lot of times I look at selling as not necessarily just selling the product where they’re going to pay you cash. What I’m really selling is I’m selling myself or the brand or the mission or the story or opening the email and then the click. Like, that’s selling in a sense. We’re selling the idea or we’re selling the thing to do not necessarily selling. [00:35:29] Scott: We will get into selling and that’s going to be the fourth thing that I want to talk about but really when you are building this community so if you’re again thinking about how can you do this, just start a little Facebook group. It’s free and just start publishing content or start asking questions and then start directing people there. Again, if you went through the A, the attention pillar, and you’ve built a list and you’re sitting there with 2,000 people, 5,000 people and you’re like, “All right the contest is over. I sent them an email and I let them know who the winner was and I give them a promotion for 25% off to buy one of my things. Now what?” This is what. This is exactly what you should be doing. Figuring out what is going to be the next three to five emails and then list them out. List them out what are they going to be. We already told you the first one should be your story and how you can connect with them and they can determine if you guys have stuff in common. Another one would be teaching something and sharing and then another one might be the community element. Hey, I started a Facebook group. Oh, I’d love you to be part of it and share some of your stuff with us and we’re going to be sharing stuff over there too. If you want to come over and join us, head on over.” And that’s it. And then we can move into four which is going to be how do we actually sell now? How do we get them to buy something? So, and that one’s usually a dirty word. Selling. I don’t want to sell anything. I don’t want to send too many emails. I don’t want them to get mad at me. What do we do there, Chris? [00:36:53] Chris: Send the emails. [00:36:55] Scott: What are we going to do? At this point, we’ve done those other things like when do we start mentioning like buying something? I mean I think we’ve already kind of done that. If we’ve done a contest as a lead magnet, we’ve kind of already done that because we said, “Hey, sorry you didn’t win, but we’d love to still give you a special deal because we want you to still be a winner. So, 25% off for the next three days.” And if you guys missed that, again, that’s the build list workshop, TheAmazingSeller.com/Buildlist. Check that out and they’ll make more sense to you. But what would you say at this point like how can we start sprinkling in some offers? And It’s kind of surprising because every time you do that, you make some sales because people go, “Okay. So, not only do I not fish around bushes or not only do I fish where there’s daylight so that I see the bushes but if I do this even if I ignore all the other advice it’ll help me cut through the bushes and then I can still fish.” And if people have that need, they will find it naturally. And then there’s the other side of that which is much more specific sales push and that is going to be a little bit more aggressive, but people tend to get weirded out by this for some reason and it doesn’t necessarily have to be that scary either. So, I’m trying to find an example out of the ones that we have sent but really it doesn’t have to be that difficult. We’re just going to focus the entire content of the email around that thing. 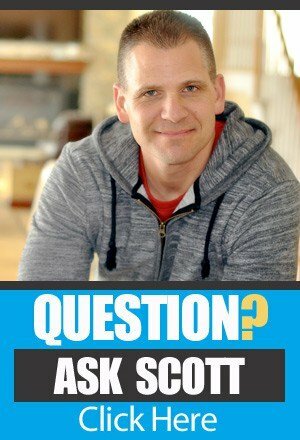 [00:39:21] Scott: Well, I think also it comes down to how much value have you given them before you really start to go a little bit harder with your sales message. And that sales message would be maybe for a three or a four-day window. It’s going to be, “Hey, just want to let you know we’re having a flash sale because you guys are awesome, and we want to take care of the bass fishing community. You guys are cool. That’s why we’re going to do it.” Make it better than that but you get what I’m saying. And you’re just letting them know if something is coming and then, boom, the next day it goes live. You got a flash sale going on and then you’re going to remind them when it’s halfway through because you want to say, “I just want to let you know, it’s going to be coming to an end but just want to make sure you had an opportunity to get this. If you’re interested, go check it out,” and you might want to sprinkle in there, “And PS, I filmed myself using another lure if you want to go check it out.” You might even want to sprinkle in a piece of content there. You don’t have to, but you could. And then the last day would just be I’d like to send two emails. One reminding them that it’s going to be ending that night and then a final one that says, “Hey, the code is going to be expiring or the flash sale is going to the expiring.” And that’s it. [00:40:26] Chris: Right. Make sure you don’t miss it. [00:40:27] Scott: And then the next email after that is going to be a piece of content. Going to teach them something, you’re going to share something, you’re going to share something from the community, whatever. That’s all you’re doing. At that point, you’ve earned the right to do that and they’re okay with it because you provided value and you’re a likable person and your brand is on point like everything is kind of a line. That’s why we’re doing these things and we’re connecting with them at a different level than just being like we just sell products, period. No, that’s not what we’re saying. So, selling doesn’t have to be scary or a dirty word. It can be very good for your business. Number one, you make more money but also, they understand now and you’re training them that you do have stuff for sale. You don’t want to just be the one that never sells because then they’re like, “Well wait a minute, all this came out left field.” I didn’t know this person was selling stuff. So, you don’t want to not tell them. You don’t want to hide it. Another way to do that in that email, Chris, and we’ve done this is you just send them to a piece of content that is on your blog or on your Facebook page. [00:42:45] Chris: That’s all you have to do. [00:42:46] Scott: Simple. That was absolutely simple but exactly what we’re talking about like, I mean, it doesn’t have to be complicated and to me your curiosity too like I want to see what you used because I’m in the bass fishing. I’m not but if I was and I may though. A little side note here, Chris, a little timeout I’m going to call here. I need my buddy, Kevin, to blow the whistle. Actually, I live on a pond. You’ve seen the pond that I live in. It almost looks like a little miniature lake. It actually does connect over, but a lot of guys will drop their boats in here. They have a little Jon boat and it’s just a two-seater and they just troll around the edge and there’s a lot of largemouth bass in there. So, I may become a bass fisherman. So, if anybody is listening that is into bass fishing and is may be willing to teach about this or already is, give me your stuff. I might want to follow you and maybe buy some of your stuff because I might be getting into that market just to fish actually. [00:43:43] Chris: As a consumer. [00:43:44] Scott: As a consumer. Yeah. So, I’ve been looking at Jon boats. It’s kind of funny. I was looking at them and I was looking at different accessories and I’m not thinking about going into that market but I’m thinking about being a customer in that market. So, anyway, it’s kind of funny that it came full circle as we kind of tie that altogether. All right. So, what else do we want to talk about before we wrap up here? Do we just want to do a little recap? Because I think we covered a ton and I don’t want people to be left like scattered. I want people to walk away and understand like how to go through this process, but I want you to understand first before we do get into that. The cultivation is really about how to write and connect in your market and how to get those people to know, like, and trust you. If you think about it like that, like and I say how to write, it’s really how to connect. It’s like how to connect in your market and you can do it through writing. You can do it through video. I think you should do it through a little bit of everything because it gives different people ways to consume you or your content in different modalities. It could be audio, it could be video, it could be written word, whatever it is. I think you should mix that up. But I just want you guys to understand what you’re doing here is really you’re nurturing it. You’re taking that relationship to the next level. You’re building that relationship. And I want you to think about it as if you were meeting someone for the first time and you’re just kind of conversing back-and-forth and you have stuff in common and now you’re just sharing kind of back-and-forth and you’re sharing with them because you are just this person that’s just dedicated to this market and you’re just obsessed with the market and then just share away like and just build that relationship. And we do talk about that in the attention pillar about really like who your market is, and I think it’s important that you do go through that because that will make this even easier because when you’re connecting now who you’re connecting with. So, Chris, you want to do a little quick recap and then we can wrap up? [00:45:37] Chris: Yeah. I think before we do that really fast, I just want to kind of reiterate something that we said earlier. People tend to overcomplicate this, and they make this like a very complex like mystical thing. Really, what we need to do to start to get this pillar in place for our business is to treat our customers and our potential customers like they were friends sitting across the table from us discussing our market. We’re talking about our market. How would we help them? How would we talk to them? That’s what we’re going to do. We’re just going to do it online to 20,000 people or 280,000 people or 2,800 people, however many people we have on that list we’re going to treat them all as individuals and we’re going to give them what they need to be successful and in doing that, we then set the stage for sales. So, really, Scott, in this pillar we have four big things. We have the connection and the story which goes back to that preparation foundation, why are we in the market, and we need to share that with our community. That is the thing that will all develop a bond around. Is it that I found this that if I put butter in tea, it made me not hungry and then I lost a bunch of weight. Is it that I hated fishing and now I love fishing because I found this one cool trick and now I’m obsessed. Whatever that connection, whatever that story is, that’s the thing that will start to unite your community around you. Number two is then teaching and sharing. So, what information does the community need? What are some things, some resources, some tangible assets maybe that I can start to give them or even point them to? I don’t have to create them. If they already exist, I can just point them there, to give them additional value and start to ingratiate, did you like that word, Scott? [00:47:12] Scott: I love that word. [00:47:14] Chris: Start to make them like us realistically is what that breaks down to. How do we give them value so that they connect back to our brand and associate us with giving value in that market? And then we’re going to create a community so that we can spread that same feeling of ingratiation and value out. And then the last thing is we’re going to sell. We’re going to sell inside of that community. We’re going to sell inside of those things but we’re going to do it in a way that actually adds value. We’re not just going to beat them over the head with 20% off, 29% off, 300%. Any of those kinds of things. 300% off would actually be really a great sale. We pay you to take our stuff. [00:47:50] Scott: Yeah. That would be amazing. [00:47:53] Chris: We’re going to set that stage and then we’re going to sell in a way that continues to add value and when we do that, when we mentioned products, that makes sense with what we’re talking about. When we point people in the right direction whether it’s to our product or to someone else’s because that’s a better fit for their specific situation, we’re going to create that flywheel effect, Scott, that you love to talk about so much. [00:48:12] Chris: And we’re going to continue to build that community. We’re going to continue to build our business and we’re going to continue to build our own sales. [00:48:18] Scott: Yeah. I love it. I mean, the more that we go through it ourselves too on that and I know when we sat down, you and myself, Joel, Angel, our whole team like when we set down and we’re kind of brainstorming like what does it look like, how can we break this down so it all makes sense? How can we plug these different building blocks and these different pillars into a business or even analyze a business and overlay this? And this is it. As we go through this, it makes even more sense and I think if you have missed the P and the A of PACE, you’re going to want to go back and listen to those and you’re going to want to get the pad of paper as I talked about and the pen and I want you to just go through this process, go through this as like a training that you paid for like I know a lot of times people don’t take a lot of value or put a lot of value into like something that they received for free. We’re giving you guys this because we want you guys to succeed. And, yes, eventually if you want to come back and buy one of our trainings, that would be awesome. If you want to join our inner circle, our high level, obviously it’s by approval, if you wanted to join that, we’d love to work with you. 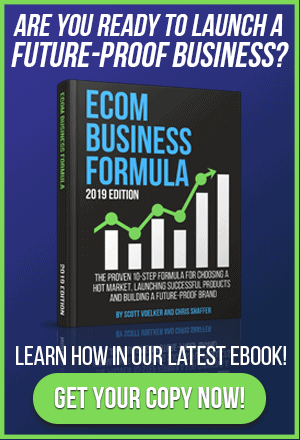 Like, yes, we would love that, but we know that if we can get more people like you to really follow this method or this methodology of PACE, we know that there’s a good chance that you’ll be able to take your business to the next level and we would love to be a part of that. So, take this seriously. Don’t treat this as a free resource necessarily. I want you to pretend that you paid for it because then I believe you’ll do something with it. So, go back to the beginning even at the overview level where we actually broke everything down as far as what is involved in these four pillars and then we kind of give an overview of everything and that’s the PACE method and that’s the four pillars that successful brands are using and that we’ve seen used over and over again and really to help you build businesses that will last not just today but tomorrow. [00:50:14] Scott: So, go through that. Part 1, Part 2, this is Part 3. We’re going to be doing Part 4 in the next episode and that’s going to be expansion to grow and scale your business. And then once you have all of these pillars in place or at least you understand where you need to put your energy, that is where you will focus and that is where you will be working on your business and then once you get through all four, you can go back and you can look at each one again and see where you can then either refine or you can take something that you worked on or you learn because now you have a community that you didn’t have before. All of this stuff will work really, really well together. So, definitely check out the show notes to this episode and that one is TheAmazingSeller.com/548 and I will link up the other parts of this series inside of that post and then any other resources we have there for you as well, but I want you guys to put pen to paper. I want you to go through these as exercises and really flush out everything that comes top to mind. And then also after you’ve done some research, start writing it down. Start documenting. You might even want to buy a notebook like a dollar notebook and write on the front of it, PACE, and just put it in there, list everything out, and that will be your business plan but also it will give you the structure and the pillars to follow to build your brand. So, Chris, anything else you want to wrap up with before we do officially sign off? [00:51:43] Chris: No. Let’s do it. [00:51:44] Scott: All right. Let’s do this, guys. You guys know I have to always end like this because I really do believe in this and I believe in you, but guys remember, as always, I’m here for you, I believe in you, and I’m rooting for you, but you have to, you have to, come on, say it with me, say it loud, say it proud, Chris is going to say it with me on the count of three. One, two, three. Take action! [00:52:09] Scott: Have an awesome amazing day, guys! And I’ll see you right back here on the next episode.